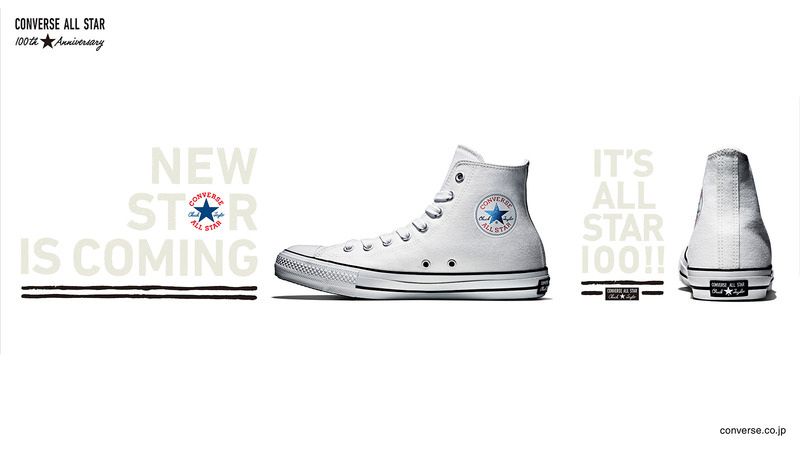 Promotion for "ALL STAR 100," a special 100th anniversary model of Converse's iconic ALL STAR brand of sneakers. 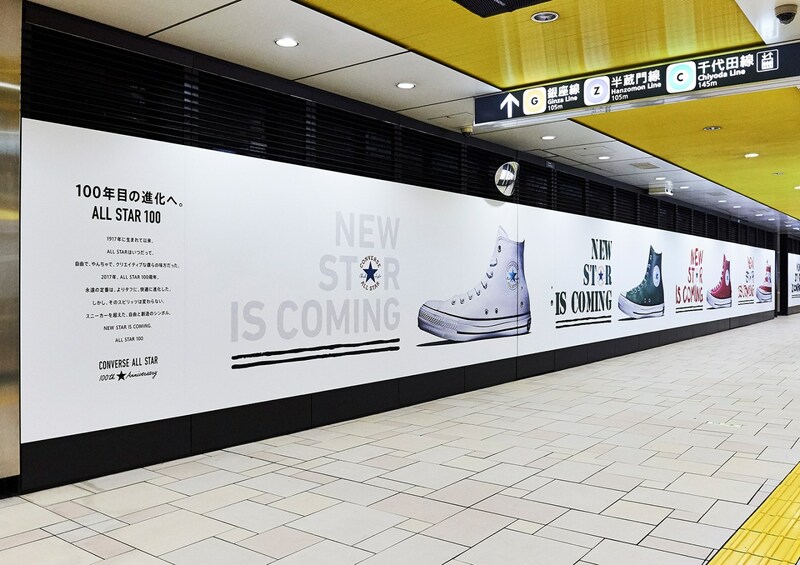 Graphic ads and the tagline "NEW STAR IS COMING." Also in the project were the development and release of ever-evolutionary ALL STAR models, such as the ALL STAR 100 SPEAKER, which features a unique Bluetooth-enabled outsole, and ALL STAR 100 AI, which supposedly is infused with the intelligence level of a 7-year-old.